Call to Schedule a Free Pickup. Companies that sell their unwanted equipment to Recycling New York Inc, can be certain that their equipment is being responsibly recycled. We want to purchase your unwanted equipment and give you the highest return possible. 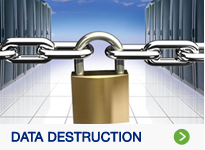 One of the greatest concerns companies have when disposing of their old computers is the removal of confidential personal and proprietary data. 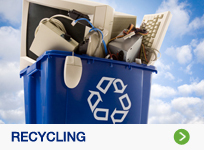 Electronics recycling in NYC and New Jersey has become easier than ever now! Recycling New York Inc. provides free recycling service in this area. That’s right: We’ll come to you and pick up your old/used computers, electronics, printers and fax, monitors, office equipment, test and lab gear, heavy machinery, business surplus and much more—absolutely free! Don’t just get rid of your company’s old computer system and business surplus—make money from them! Recycling New York Inc, pays top dollar to business for all types of working and nonworking equipment in NYC and throughout New Jersey. If your equipment has potential resale value, we’ll make you a FREE OFFER at no obligation. Not only will you recover valuable space, you are helping our environment and get paid! Recycling New York, Inc. is a leader in NYC electronics recycling and New York computer recycling. Recycling New York Inc, provides recycling services to manufacturers, small and large businesses, companies and corporations, schools, developers, non-profits, government and financial institutions. 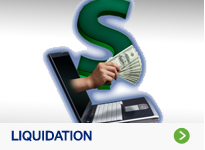 We can also work with your New York City and New Jersey area business to liquidate your business surplus, excess inventory, consumer returns, overstock, refurbished items and more – all for the highest return we can get for you. Unlike other recycling and liquidation companies that only take certain items or accept particular brands of equipment, Recycling New York Inc, liquidates almost anything. Just ask! CONTACT Recycling New York Inc, today to talk about equipment disposal, business surplus liquidation, NYC electronics recycling, New York computer recycling and data destruction. Make us your reliable partner for selling your desktops, laptops, capital equipment, telecom systems, networking gear, office equipment, test equipment, video/audio gear, and much more! Call us today at 917-688-9753. 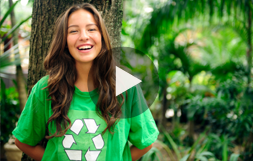 Click Here To Watch How You Can Benefit From Recycling New York Inc.